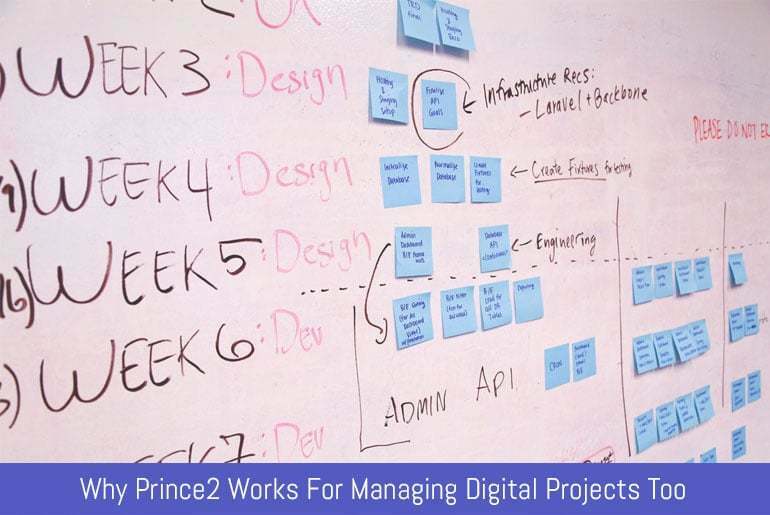 There is no doubt that PRINCE2 offers a powerful method of running conventional projects. Yet, a lot of people automatically assume that it isn’t as useful when it comes to modern, digital projects. The truth of the matter is that getting your PRINCE2 project management certification is something that will give you a tremendous boost in any type of project. If you currently carry out pieces of work online with remote team members there are some very good reasons for believing that this qualification is still highly useful. When you get ready to go on a course to learn about PRINCE2 then you might expect to be presented with a lot of rather old-fashioned processes that don’t have any relevance to the latest ways of working. After all, hasn’t it been around since the 1990s? Well, there is no denying that there is a long history to this project management method, as it has been studied by well over a million people in the 20 or so years since it was first launched. However, it is also something that is hugely flexible and that has evolved over the years to meet the changing needs of the business world. Indeed, a major 2017 update to the programme has helped to ensure that it is completely up to date. When you head off on a PRINCE2 training course you can feel confident that you will learn timeless project management techniques that can be used in any piece of work you are given. It is easy to think that digital projects are carried out in a completely different way to conventional, office-based pieces of work. It is certainly the case that you will most likely be using the latest technology to collaborate and to store information. Having said that, some things simply never change no matter what kind of technology is used. In this case, the project lifecycle is a constant that guides you through each and every piece of work in exactly the same order. Naturally, this is an important part of getting your PRINCE2 certification and finding out how to be a smart project manager in any kind of environment. One area this is arguably even more important in digital projects than in conventional projects is that of good communication. While this is vital in situations in which everyone is sitting it in the same office, poor communication can lead to disaster in digital projects even more easily. A big advantage for any project manager who gets PRINCE2 certified is that they learn all about the language that is used in the world of project management. From change control to end of project reports and from baselines to deliverables, there are some crucial phrases that let you express ideas clearly and efficiently. Of course, you might also deal with senior managers who are used to working on conventional projects and who use all of these terms without thinking about it, as well as less experienced project members who perhaps aren’t yet familiar with project management terminology yet. Do you think that you will work on digital projects for the rest of your career? Or might you switch to an office-based role in the future? Maybe you will switch between different types of project over the years to come? Project management is a highly varied and flexible type of career that can bring you a lot of surprises over the years. By getting fully trained on PRINCE2 you will give yourself the skills that you need to handle anything that comes your way from now on. It is also worth bearing in mind that gaining your PRINCE2 certification can open up a whole world of exciting new possibilities for your career. If you want to get a flexible, varied project management career to be proud of then you need to get the qualification that companies look for. Mark Addison is an expertise in delivering quality professional training in management, web creative, technical and many more courses. The training is available at one of the leading institutes in the UK ‘Knowledge Tree’ without breaking your budget. The entire training courses are well designed and fully accredited. The best thing about such courses is its professional environment, small size and highly skilled staff. My expert team of professionals is able to satisfy all your requirements and come up with the best solutions to provide the best training experience and make you an expert. Our major objective is to add value to our customers.